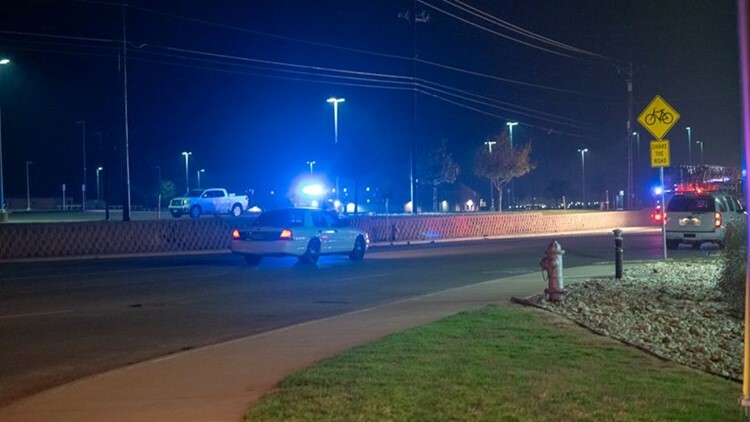 KILLEEN, Texas — UPDATE: The Killeen Police Department said its investigation showed there was a second motorcycle involved in the incident where a man died after crashing his motorcycle on Stagecoach Road early Wednesday morning. When the officer tried to pull over the motorcyclists, one of them complied with the officer, while the other sped away, the department said. The officer then started to chase the motorcycle, but the driver failed to navigate a turn and crashed, the department said. The department is asking for the driver of the second motorcycle to contact them at (254) 501-8800. A 21-year-old man died on Stagecoach Road early Wednesday morning after he crashed his motorcycle while trying to turn at a high speed, the Killeen Police Department said in a press release. A patrol officer was driving north on W.S. Young Drive at about 12:15 a.m. when he saw a black motorcycle going south on the same road commit a traffic violation, the department said. The officer turned around to pull over the motorcycle, saw it turn on Stagecoach Road at a fast speed and lost sight of it, according to the release. The officer located the motorcycle in the road and Caden Michael Shunk lying in a nearby parking lot of the 1300 block of Stagecoach Road, the department said. The preliminary investigation showed the man riding the motorcycle failed to navigate the curve while traveling west on Stagecoach Road and collided into a wall, causing him to be thrown off from the motorcycle and hit a tree, the department said. Justice of the Peace Bill Cooke pronounced Shunk dead at the scene at 12:58 a.m. Cooke ordered an autopsy to be performed at the Southwestern Institue of Forensic Sciences in Dallas. The Killeen Police Department Traffic Unit said it is investigating the crash and will release more information when it becomes available.